Our vitamins and minerals, also known as The Optimals, feature a proprietary blend of bioavailable nutrients, which support critical cellular function in the body. Formulated in properly balanced ratios for daily use, the Optimals also feature the requisite cofactors for proper vitamin and mineral utilization in the body. 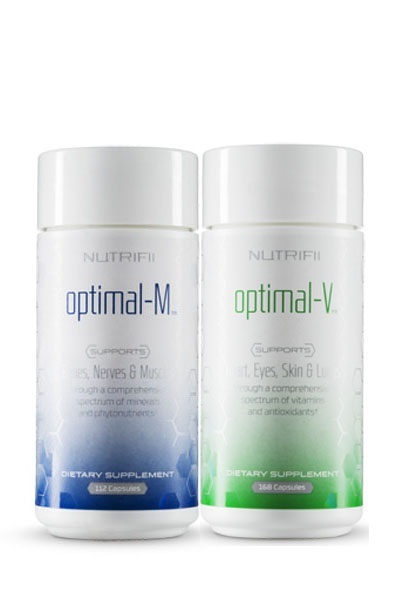 Nutrifii Optimals contain a comprehensive array of vitamins, minerals and antioxidants, including nutrients and other beneficial ingredients which university studies have shown to be critical in maintaining healthy cellular function, support heart, eye, skin and lung function, as well as promoting improved bone, muscle and nerve health. Does this sound like you? Busy schedule, always on the run, snacks and meals are last-minute, grab-what’s-convenient afterthoughts? You’re definitely not alone. In today’s fast-paced, fast food world, nutritional deficiency is on the rise, and it is critical to understand how to support your body for optimal energy, health, and well being. Here’s what you need to understand about the difference between vitamins and minerals— and why together they create such powerful synergy. • Vitamins are organic micronutrients that are obtained naturally from plants and animals. • Minerals are inorganic and originate in the earth through soil and water. • Vitamins can be divided into fat-soluble & water-soluble groups and minerals into macro-minerals & trace minerals. • Each vitamin and mineral has a different function, and your body functions best when all are in balance. Our Commitment to Excellence We are committed to bringing the best health and wellness products to you by extensively researching modern nutritional science. The ARIIX 100% potency guarantee is the cornerstone of our quality, and we are dedicated to our mission to Unleash the Human Potential for Good. 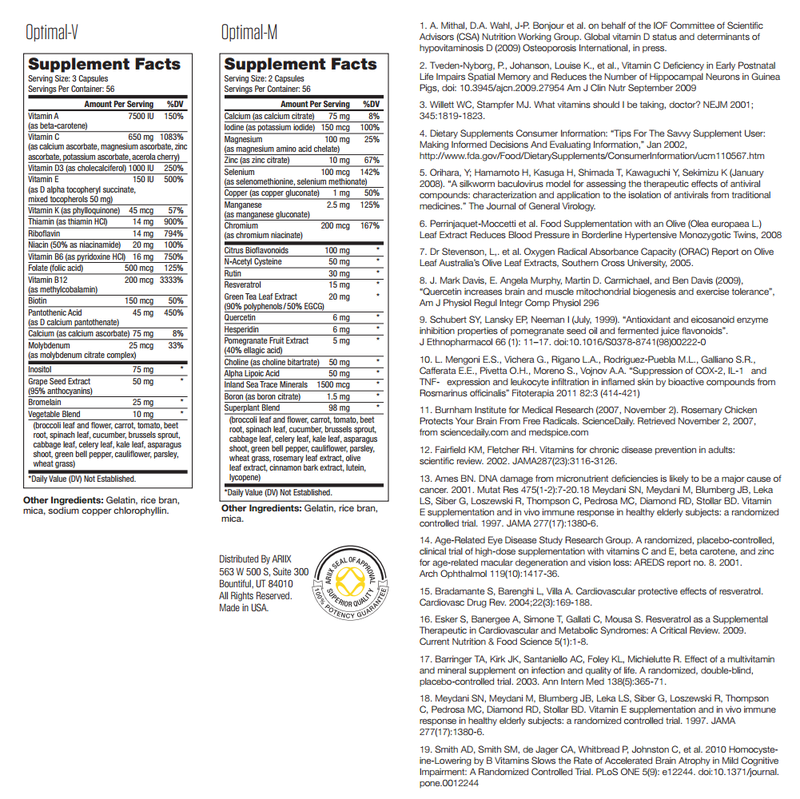 Click the button below to add the Optimals (Vitamins & Minerals) to your wish list.